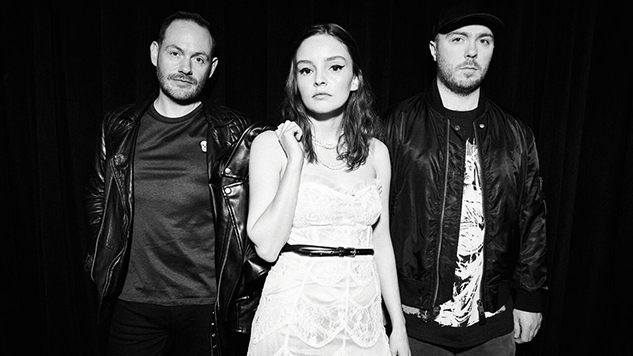 CHVRCHES Go for Pop Euphoria With New Single "Miracle"
The Steve Mac-produced single is the fourth release from the forthcoming album after previous singles including the massive “Get Out,” “My Enemy,” featuring The National’s Matt Berninger, and last month’s “Never Say Die.” “Miracle” manages to take CHVRCHES’ trademark synth-pop to new heights of pop euphoria as the synths are higher and the melodies are stronger than in previous songs. Even though the production is light and euphoric, the lyrics are not, as frontwoman Lauren Mayberry’s gentle vocals state, “Ask me no questions / I will tell you no lies, careful what you wish for / We’re looking for angels in the darkest of skies.” She follows that with the hook, “I’m not asking for a miracle.” Mayberry comes off somber and defiant as she asks her lover to show how much they loved her. The band is in for a busy year, what with dropping a new album and setting an upcoming summer tour. But fans will get their CHVRCHES fix after the band took a small break following 2015’s Every Open Eye. Listen to “Miracle” and CHVRCHES’ 2013 Daytrotter session below.